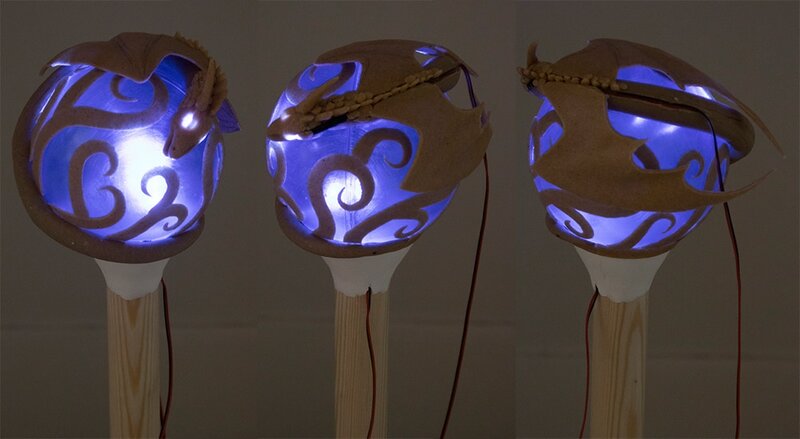 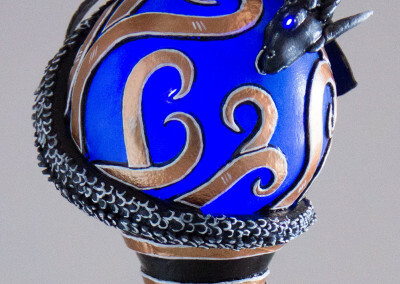 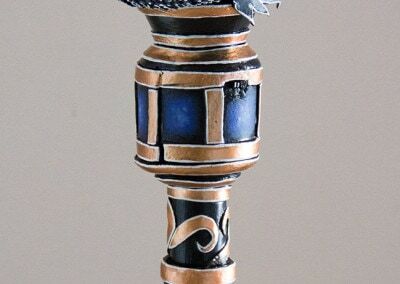 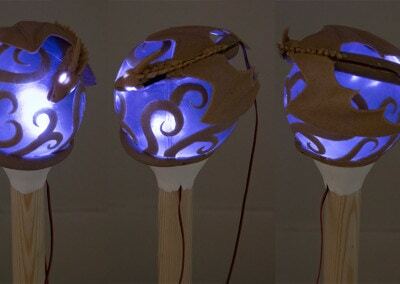 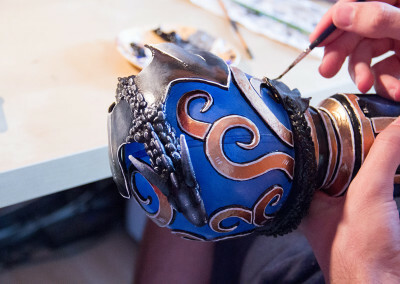 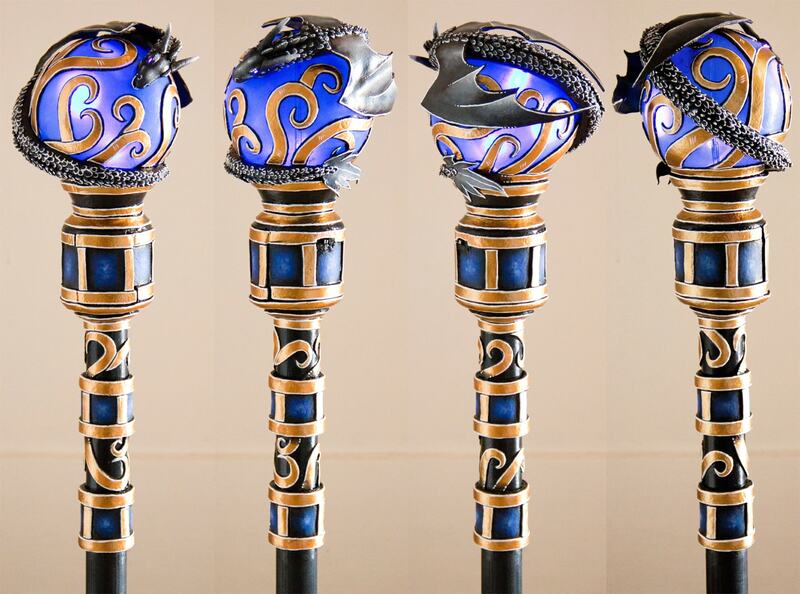 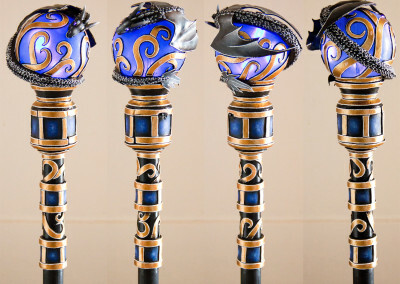 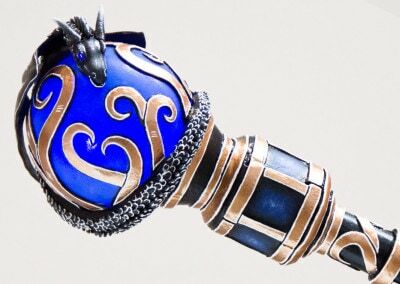 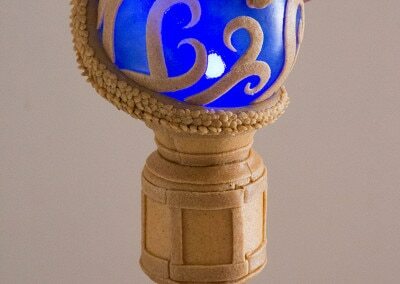 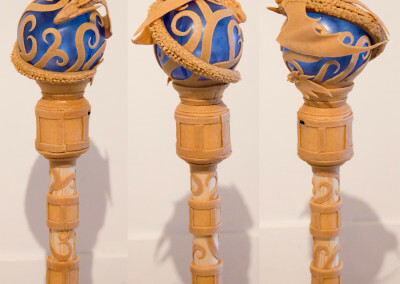 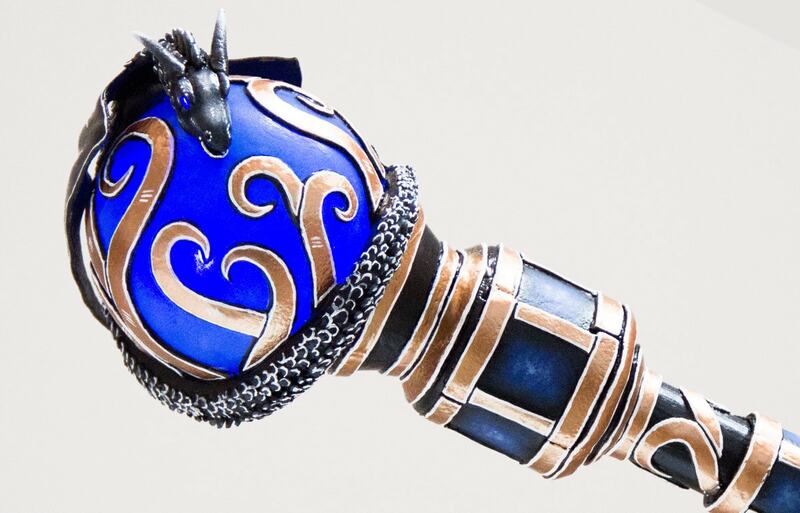 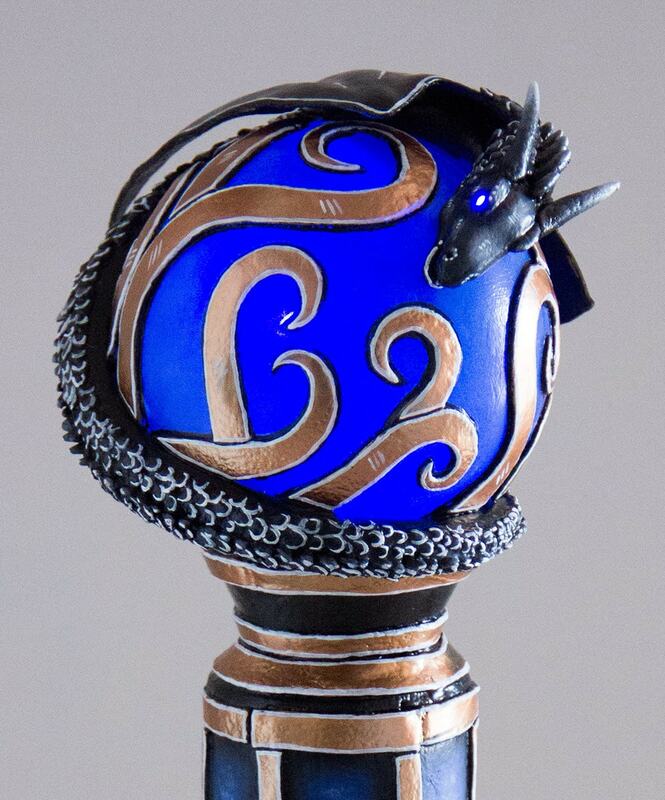 This staff was part of a commission I did for Intel and Newegg for BlizzCon 2013. 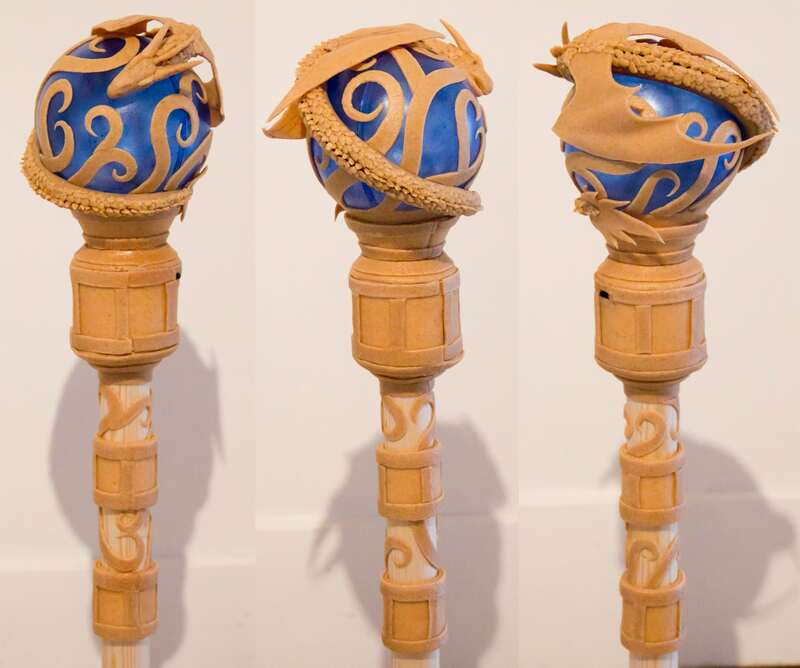 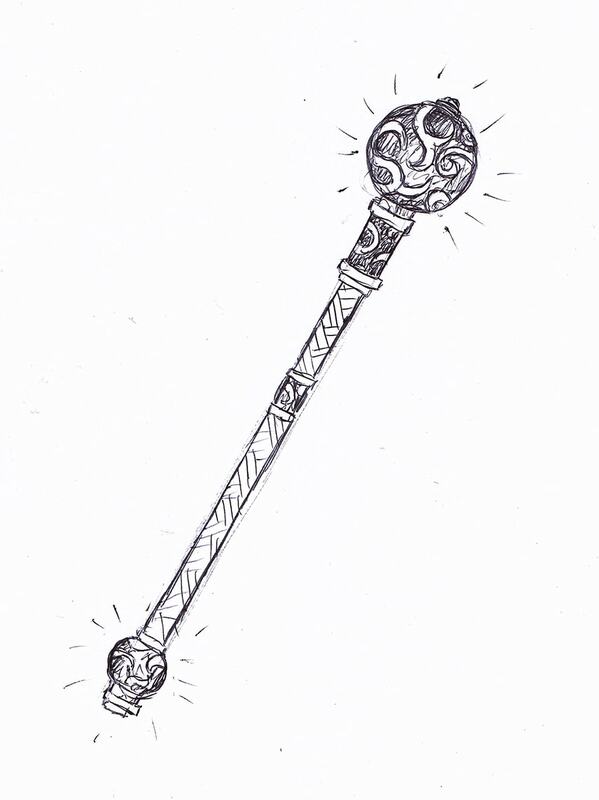 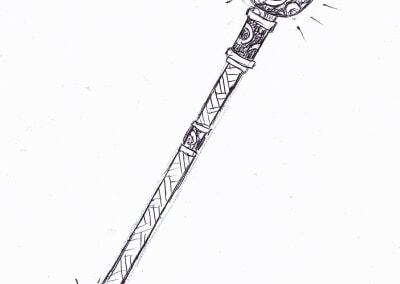 I tried to design the staff so that it looks fitting to the Diablo 3 universe. 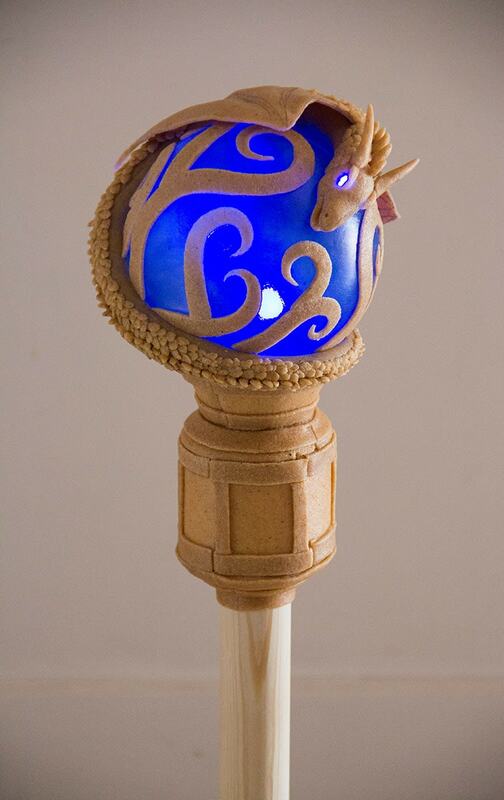 The only directions I had was to make a staff with a dragon and glowing eyes. 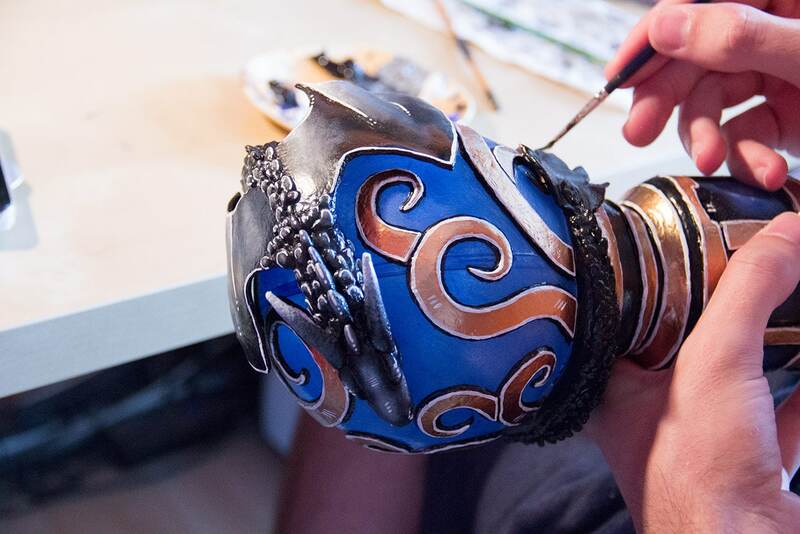 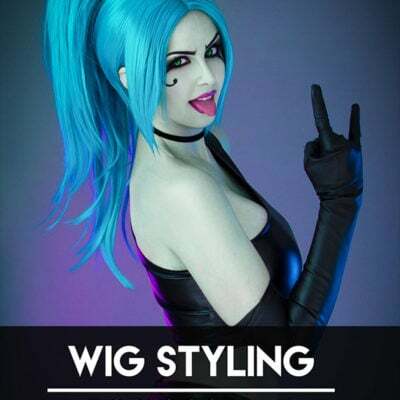 I really love how it turned out!